Holds approximately 5 gallons of liquid. Fountain with Silver Trim and Waterfall/Statue Combination. 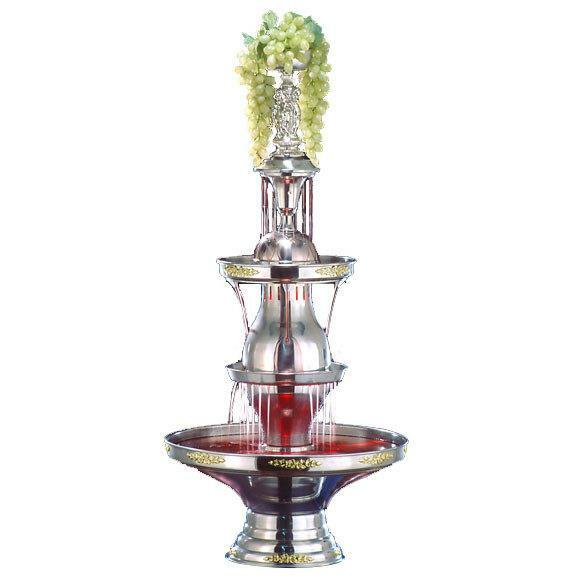 * Please call us with any questions about our champagne fount. 5 gal silver w/ statue rentals in Columbia and Jefferson City MO.